We get lots of phone calls every spring from parents who are sending their kids to camp. We’ve put together this information based on the most frequently asked questions. We don’t want to discourage you from calling (we love to talk with you!) but want to provide you with valuable information that will help you and your child to have a successful camp experience. We hope this helps, and remember, give us a call if you have any questions or concerns! My child is really worried about getting homesick. What can I do to help? 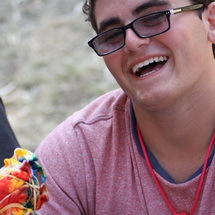 Share any positive experiences you may have had as a camper. Your excitement will be contagious! Find out how he defines homesickness. Lots of kids use that phrase as a catch-all, and with further exploration you find that they are concerned about much more specific things like not making friends, being picked on by other kids, not being able to do the activities. The more you know about what really scares him, the better you’ll be able to calm his fears. If it seems to be a more general concern about being apart from her family, talk about ways to feel connected. Have her pack a few familiar objects like a favorite stuffed animal and a family photo or two. Writing letters can be helpful, so include plenty of stationery, envelopes and stamps. For kids who may have a hard time knowing what to write home about, provide daily topics for each letter (things like names and hometowns of new friends, description of her counselor, what was served for lunch, new activities tried, etc.). Give him ideas of ways to distract himself if he does start to feel sad like writing a letter, talking to a friend, getting involved in a game, etc. Send her mail! Campers love to get letters and funny cards, packages (with no food, of course!) and regular reminders that their parents are thinking about them. A few words of caution: if your family has done something that your camper would perceive as incredibly fun (e.g. a trip to Disneyland) it’s not a good idea to include that in your letters. Also, avoid sharing any bad news. Believe it or not, we’ve had campers find out about family deaths and illnesses in letters from home! Encourage him to ask his counselor for help. Our staff are trained to work with children who are feeling homesick, but some kids hide their feelings so well that it isn’t apparent that they are struggling. If he doesn’t feel comfortable confiding in his counselor (this occasionally happens; kids see their counselors as “cool” and don’t want them to think they aren’t having a good time) remind him that he can talk to any of the directors. Since we’re a little bit older (okay, some of us are a lot older!) some kids have an easier time sharing feelings of anxiety with us. 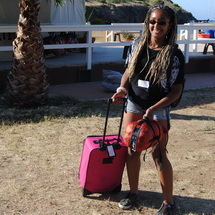 We also have nurses in camp who are definite “mom” figures and are always available to the campers. 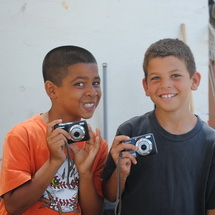 Remember that the camp phones are not available for children to call home, so don’t offer this as an option. Try not to give your child an “out” by telling her that she can come home if she isn’t happy. All kids feel at least a little anxious their first day of camp; for some, the adjustment takes a day or two longer. It may seem that providing this kind of “safety net” would be a good thing, but what happens instead is those children give into their feelings immediately and don’t give their coping mechanisms a chance to work. If you make this promise to your child, it will be next to impossible for you to convince your child to remain at camp if he wants to come home. If you are uncomfortable about not giving this option to your child, please call us! What do you do at camp for homesick kids? Many of the same things we encourage you as parents to do! The first rule of thumb is that busy campers don’t have time to be sad, so we work really hard to keep everyone involved at all times. During slower times (i.e. meals, first thing in the morning, bedtime) counselors keep an extra eye out for signs that a camper may be having a difficult time. They then work to engage the camper in something to keep them focused on having fun. 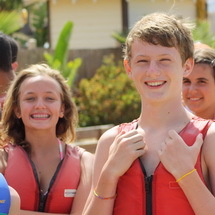 The second rule of thumb is that campers who feel connected to their counselor and their cabin group are less likely to feel homesick, so counselors spend a lot of time, especially in the beginning of the session, building cabin spirit and unity. If a camper is having a hard time, the counselor will talk with her and work with her to come up with ways to deal with the feelings she may be having. 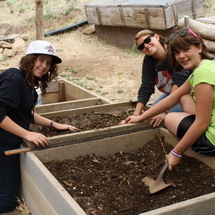 Using these tools, we are able to provide a positive experience for almost all of our campers. However, on the rare occasion that difficulties continue (more than a day or two), the counselor will get additional help from their director. After the director has spoken with the counselor and the camper, a decision will be made about involving the camper’s parents. We believe very strongly that we are partners with you in providing this experience for your children, so it would not be unusual for us to call and ask for your help. Please know that it is very rare to have a child be so homesick that we can’t work through it together. Most kids adjust and wind up having a fabulous time (they are often the ones crying on the last day because they are sure that they will be “camp sick” once they get home). In the last five years, the only children who have left early have been those who were given that option by their parents prior to camp starting. And all of those parents felt badly, recognizing that they did not set their child up to succeed at camp. Okay, I admit, I don’t think my child will be homesick; I think I’ll be the one who is “childsick”! Again, this is totally normal and more common than you may think. We have a running joke about starting a Parent Support Group at the boat terminal in San Pedro. We would have all the veteran camp parents stay after the boat leaves to counsel and console the new camp parents. What the veteran camp parents always remind us of is the fact that they don’t always stick around until the boat leaves before they meet their child’s counselor, say hello to us, kiss their child goodbye and leave feeling confident that their child is about to have another wonderful camp experience. Focus on the wonderful thing you are providing for your child; the opportunity to live and play in a new environment, gain independence and self-reliance, improve the ability to make new friends, develop the social skills required to live with a group of people you aren’t related to; the list goes on and on. Try not to project your concerns onto your child (this can be really hard); instead, call our office and talk with us about your concerns. We are more than happy to spend time talking with you and hopefully alleviating some of your fears. My child is worried about not knowing anyone at camp. What can I tell him? Start by reassuring her that many children come to camp on their own. In fact, you can call our office to find out the exact makeup of his cabin, if it will help. You can also help by talking with her about the friends she has and how they became her friends. Discuss simple things like how to introduce yourself and some basic questions that can be used to get to know new people. 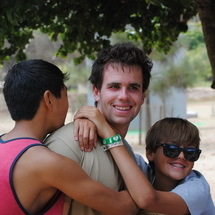 And since making new friends is one of the goals of our camp program, our staff focuses on that from the beginning. When you arrive at the boat terminal, you’ll meet his counselor and the other children in his cabin together. The counselors help the campers introduce themselves to each other, and often begin playing simple get-to-know-you games right away. By the time we’re ready to board the boat, the kids are so involved with each other that saying goodbye is quite easy. If your child still seems tentative, pull his counselor aside and let him know. If you have additional concerns, there are directors at the terminal that are available to you. What if the other campers pick on my child? 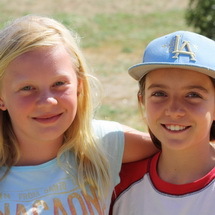 Our goal is for every child who attends CIC to have a safe, positive camp experience. We define safe in physical, emotional and social terms. Behavior that affects another camper’s experience in a negative way is not acceptable. Counselors are trained to help campers work together as a group and will intervene if another camper or group of campers is picking on a camper or group of campers. If the behavior continues, a director becomes involved. We will call the parents of the campers misbehaving if the director’s intervention does not result in changed behavior. In severe cases, we will send children home if they cannot act in a way that is appropriate for camp. Because counselors cannot possibly see everything, encourage your child to talk to her counselor if another camper is picking on her when the counselor is not in the immediate area. Assure her that counselors are trained to handle these situations in a confidential manner. And if she’s not comfortable talking with her counselor about it, remind her that the directors are always available to her. What if my child gets hurt or becomes ill while at camp? We are fortunate to have a dedicated, skilled group of doctors and nurses who volunteer to provide medical care for our campers each summer. One doctor and two nurses are at camp each session, rotating through a week at a time. The nurses dispense medications four times each day (after meals and at bedtime) and are able to accommodate campers who require meds at other times of the day as well. The nurses also provide primary first aid care for the campers, taking care of things like bug bites, scraped knees, bumps, and bruises as well as sore throats, headaches and coughs, and colds. The doctor is on site and available for consultation and is able to diagnose and prescribe medication if necessary. If your child gets hurt at camp (beyond scrapes, bumps, and bruises), a director and a member of the medical staff will call and let you know what happened and how it is being taken care of. If your child becomes ill at camp (needing more than a couple of tablets of ibuprofen or a cough drop), you would receive a call as well. In the rare case of a severe emergency, we have access to Emergency Medical Services through the Baywatch unit stationed at Two Harbors, which is about fifteen minutes away by boat. We also have the capability to airlift a severely ill and/or injured child out of camp via helicopter. It worries my child that there are camp activities that he has never tried. Can I assure him that he won’t be laughed at or forced to do something that scares him? Our camp program is based on a “challenge by choice” philosophy. While we want each camper to try new activities, we would never force a child to do something they didn’t want to; we allow them to choose which challenges they want to meet. 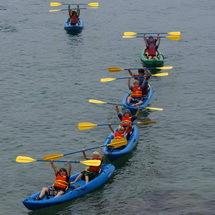 We have what we refer to as a “minimum level of participation” at each activity. 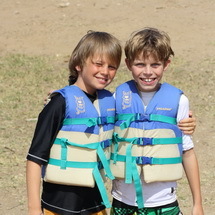 For example, a child who did not want to go water skiing would be expected to put on their bathing suit and lifejacket and ride in the boat with the rest of their cabin group. 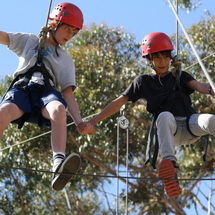 A child who did not want to do the climbing wall would be expected to put on closed-toe shoes, go out to the wall with their cabin group, put on a harness and clip into the rope. They would then be allowed to un-clip, remove the harness and sit back down. We have found that lots of kids say they don’t like an activity or don’t want to participate because they’ve never done it before and are afraid of looking silly. Once they see their counselor and/or the other kids in their group trying the activity, they almost always want to give it a try themselves. In addition, we recognize that the majority of our campers do not have extensive (or any) experience with the activities that we offer. 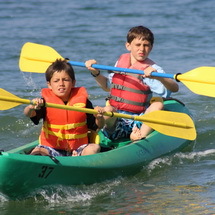 We provide instruction in each of our activities to help campers gain these new skills. My child is well behaved and is not usually a discipline problem. What is the camp’s policy if he does get into trouble? Our first goal is to prevent behavior problems. Counselors take time during the first days of camp to help campers get to know each other. Together they discuss expectations and appropriate behavior while developing cabin rules and consequences. These rules are clearly stated, and counselors make sure that each camper in their cabin understands what is expected of them as well as what is not acceptable. It is not uncommon for campers to cross the line into unacceptable behavior. Counselors combine skills brought to camp as well as those taught during staff training to help campers make any necessary adjustments. Depending on the specific situation, counselors will talk with the camper(s) involved and work with them to come to an acceptable solution. If the problem continues, we utilize a system of progressive discipline that is well defined for our counselors. Counselors are taught to ask for assistance from our experienced staff of directors. Initially, the directors provide guidance and additional suggestions. If the counselor feels that more involvement is needed (or if the problem continues) a director sits down with the camper(s) and works on acceptable solutions to the problem. At this stage, our directors may call a camper’s parents. Since you know your child much better then we do, any insight that you can provide is appreciated. We occasionally find it helpful to allow you to talk with your child to reinforce the importance of what is being said at camp. In more drastic (and rare!) cases, after we have worked through these steps, we will call parents to let them know that their child’s behavior prohibits them from remaining at camp. 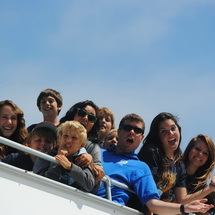 In this situation, we will make arrangements for the camper to return to San Pedro via Catalina Express and will advise the parents of their camper’s arrival time on the mainland. Will my child have the opportunity to choose some of her own activities? Yes and no. During a one-week session, cabin groups are scheduled into activities and there are no opportunities for individual choice. We want to make sure everyone gets to try everything at least once! During two-week sessions, we do offer a badgework program during the second week where campers have the chance to choose a few activities on four different afternoons. These opportunities are limited for two reasons: 1) when kids choose their own activities, they tend to stick with what they know and not try new things, and 2) we feel that the true value of the camp experience revolves around living, working and playing together as a group. 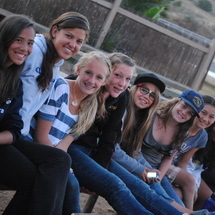 Our camp community revolves around the cabin group, consisting of 8-10 campers of similar age and 2-3 staff members. 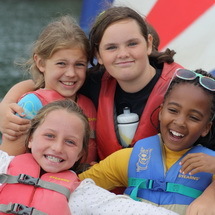 These cabin groups live together, eat together, and participate in activities together. 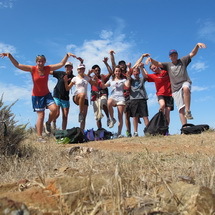 The relationships that develop as a result of this consistent group living environment are the most memorable and rewarding aspects of the camp experience. Campers learn to work as a team, solving problems, supporting and encouraging each other; they learn to respect each other’s strengths and appreciate each other’s differences. And since our counselors live and work with the same group of campers every day, the campers benefit from the close relationships that they form with their counselors. Our counselors take their jobs as role models very seriously and are aware of the impact they can have on the lives of their campers. 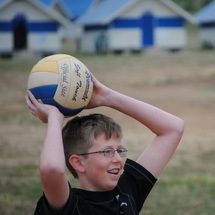 There are many camps where campers design their own schedules, whether by choosing activities when they enroll or on a regular basis once the camp session begins. These programs also provide wonderful opportunities for kids to learn; we just feel strongly that the group-centered approach provides greater opportunity for the development of valuable life skills (and besides, it’s a lot of fun!! ).